Busy mamas, we have just the thing for you! 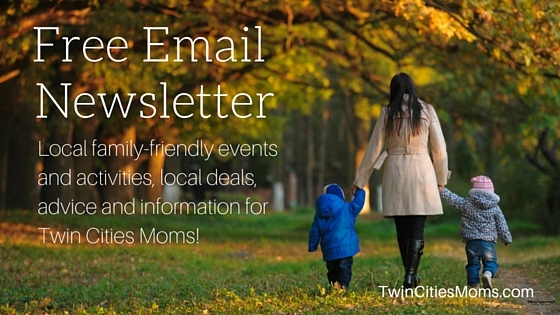 A free email newsletter devoted to all things Twin Cities and all things Mom! Whether you’re looking for a fun activity for your family, the scoop on deals and sales from local merchants (we LOVE shopping local!) or a heads up about what we’re talking about on Twin Cities Moms, this newsletter has it all. It’s quick, to the point, gives you the scoop on what’s happening and is totally mobile-friendly….because we KNOW you’re on the go!